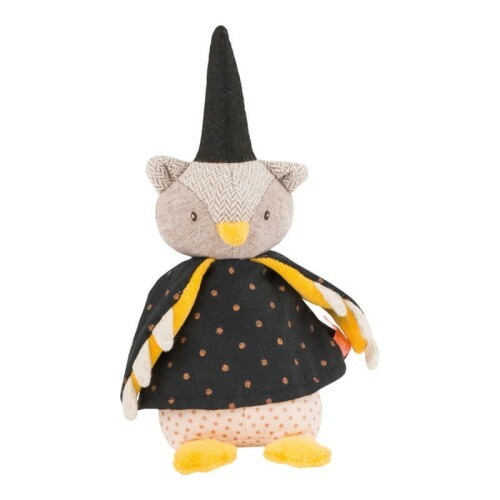 The Owl magician puppet wearing a pointed hat and a cloak that covers his wings made of a starry dark fabric. The mix of materials and colors gives this character all its originality! Measuring 13-inches tall, this toy is safe for tots aged 1+.